For a holiday to be different from the other, the Garda Trentino offers a perfect combination of sport and wellbeing, fine food, wine and culture, to regenerate body and mind without forgetting the pleasures of relaxation. But the true spectacle is nature itself: the blue of the lake with its long beaches of white pebbles, the green expanses crowned by encircling mountains. 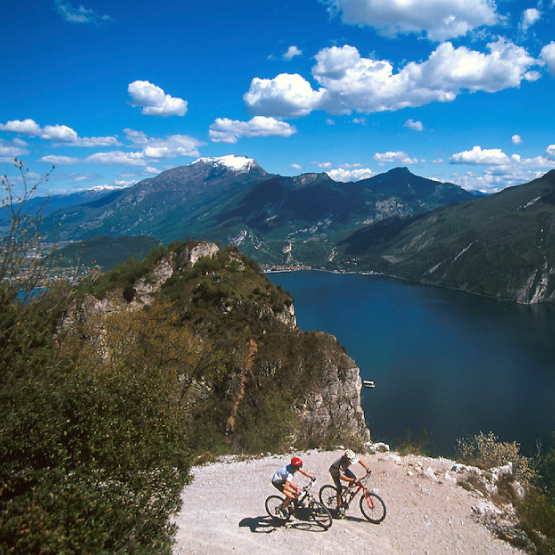 For the Bike Festival - Garda Trentino book your top class experience. Choose our bike festival holiday package and you get 50% discount for the registration at Rocky Mountain Marathon or Scott Enduro Series. 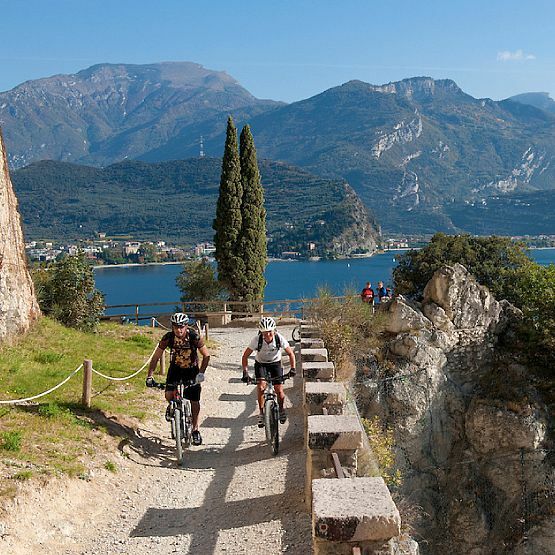 On Lake Garda, your holiday will be active, healthy and relaxing. From water sports to easy walks on the footpaths, from rock climbing to paragliding, from trekking to mountain bike excursions, Lake Garda offers you outdoor activities all year round. Lake Garda is the ideal destination for sporting fans, for all those looking for an active holiday in the open air and those looking for a relaxing and healthy holiday on beautiful beaches. 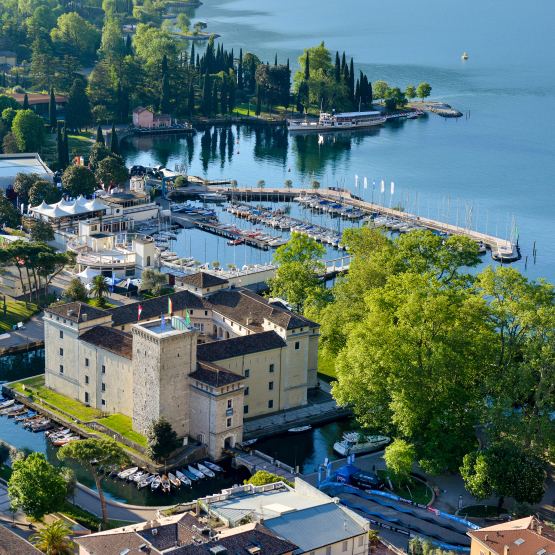 The outdoor options available on Lake Garda are endless. Riva del Garda and Torbole sul Garda are well known to sailing and windsurfing fans, but they are also favourite destinations for scuba diving, canoeing and fishing. Arco is the homeland of climbing and nordic walking, as are Tenno (hiking), Dro, Drena and Nago with their cliffs and fixed rope routes. The whole area is criss-crossed with mountain bike and cycling trails, ideal both for uphill excursions and easy outings.